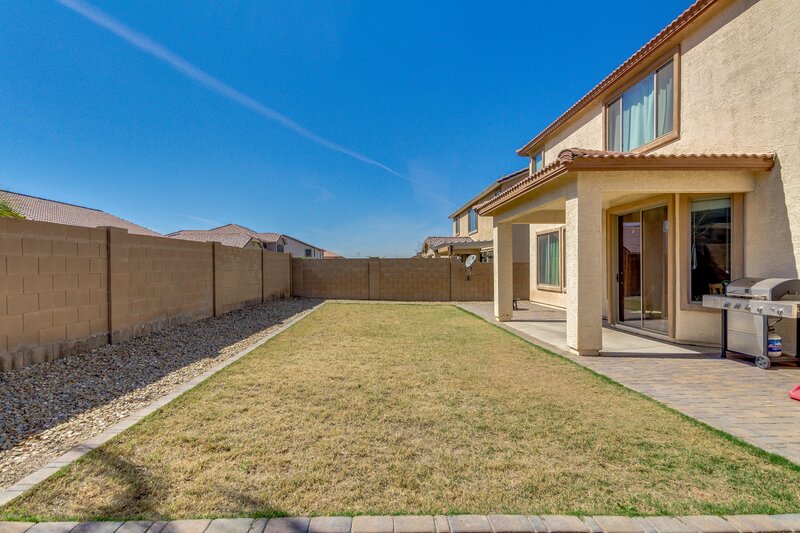 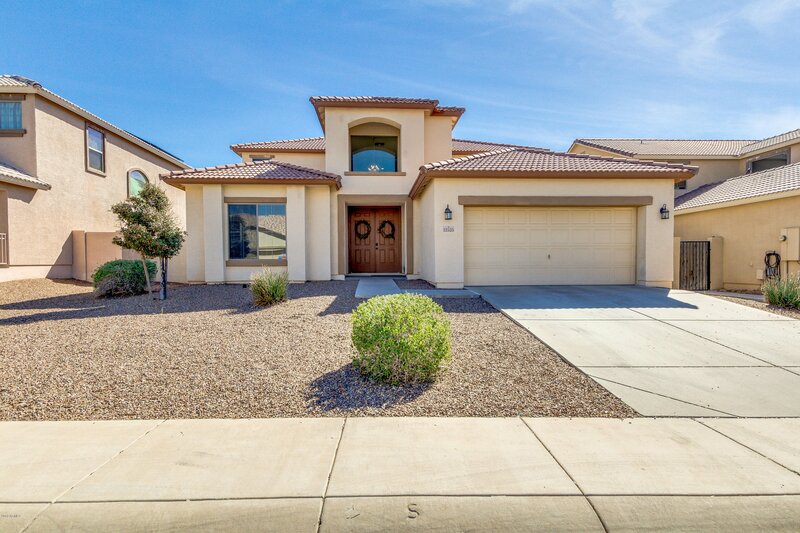 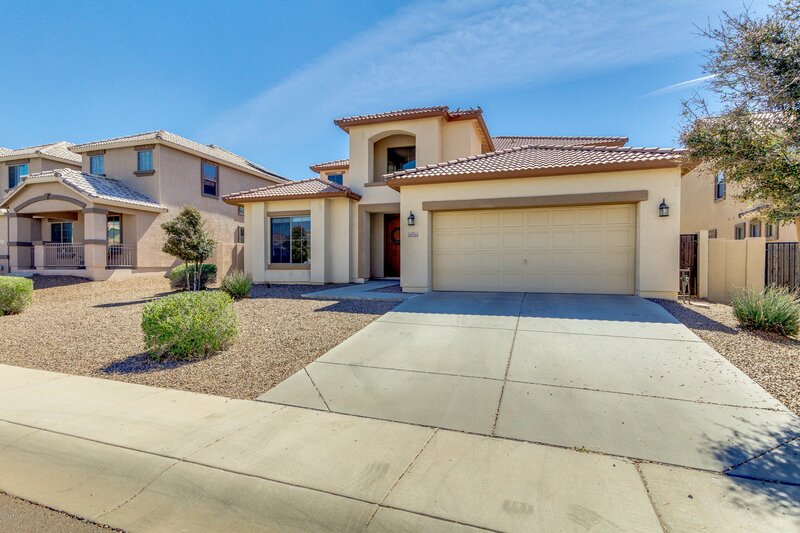 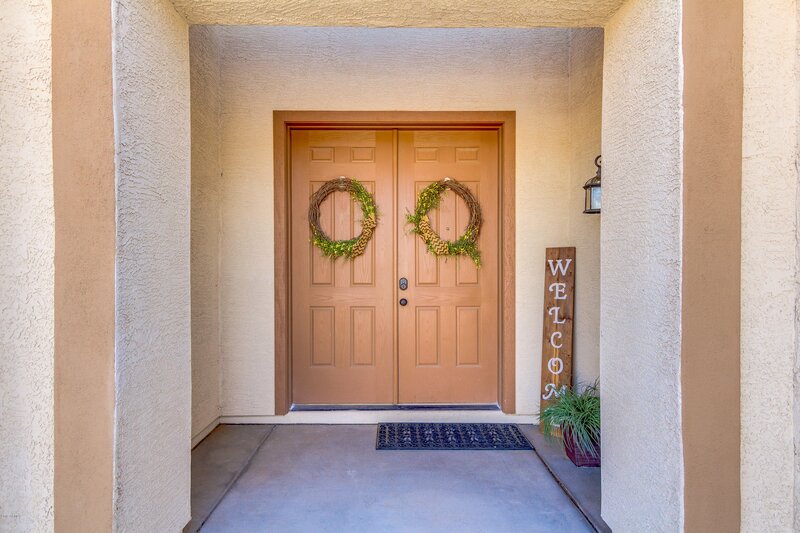 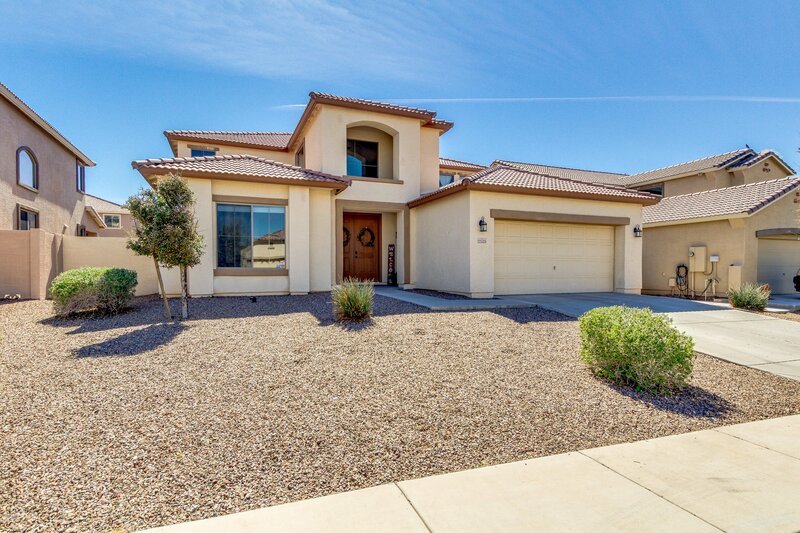 Spectacular 5 bedroom/3 bath home w/ 3 car tandem garage in quiet neighborhood. 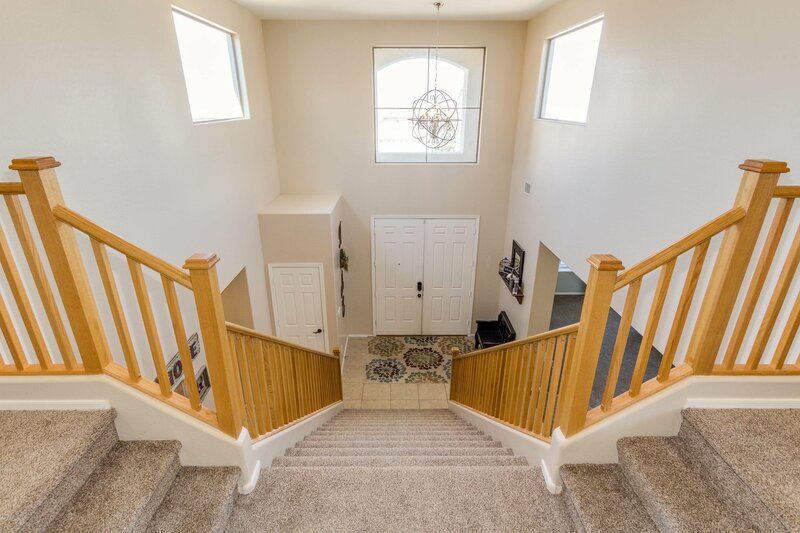 Front doors open to a grand staircase w/ incredible chandelier. 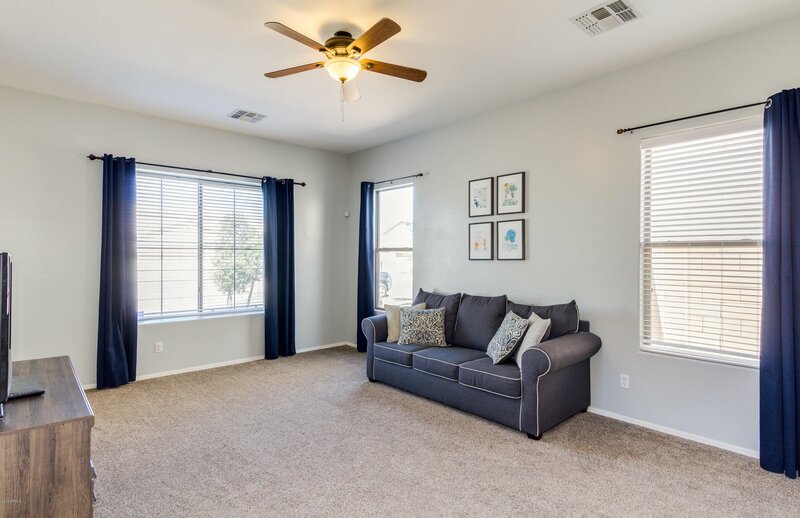 Formal living room just off entry. 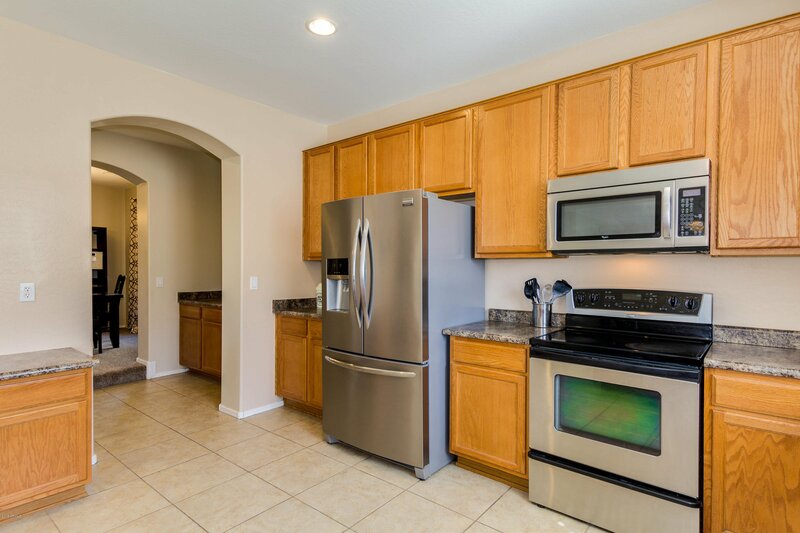 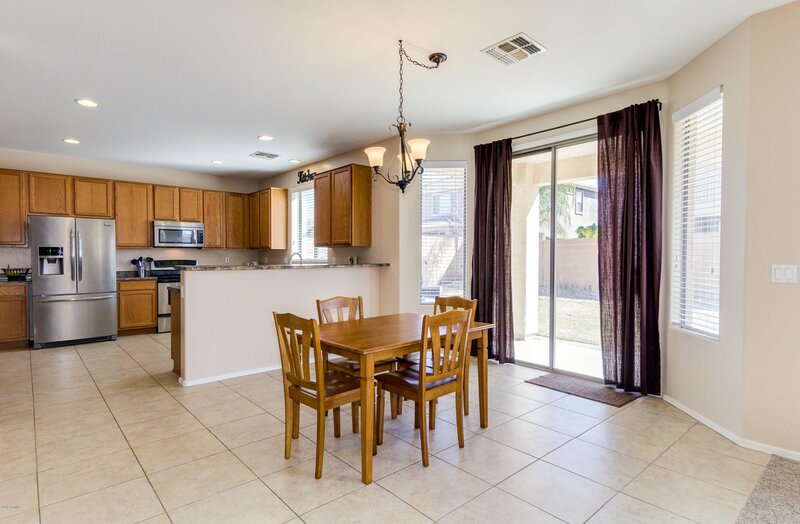 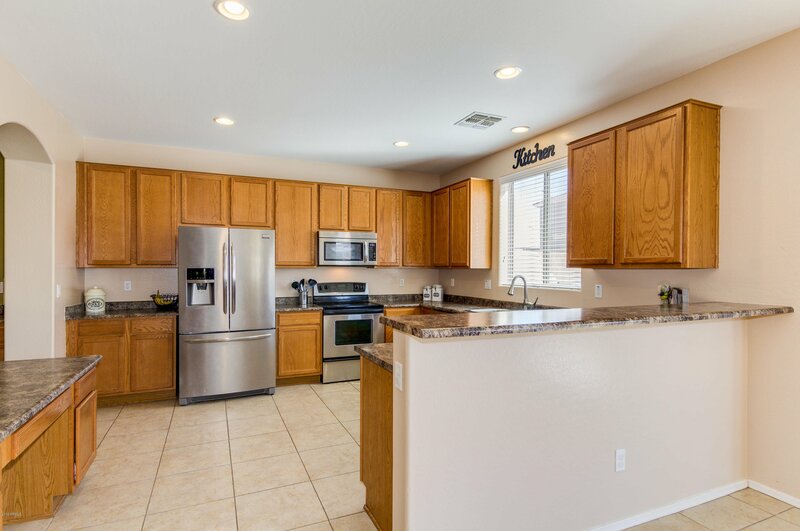 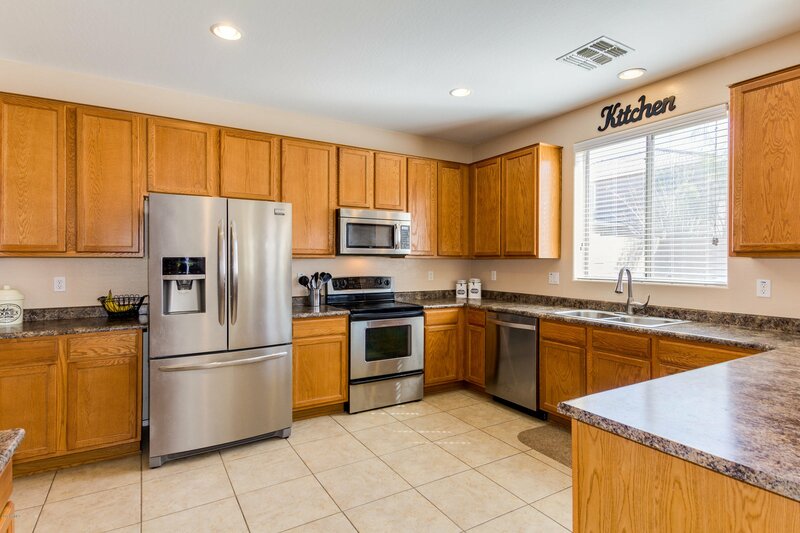 Enormous kitchen w/ loads of cabinets, walk-in pantry & breakfast bar. 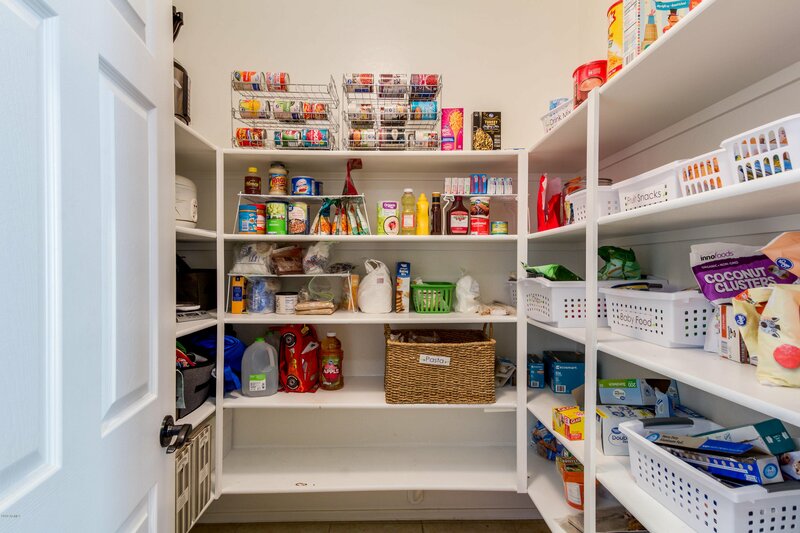 Butler pantry leads to formal diningroom. 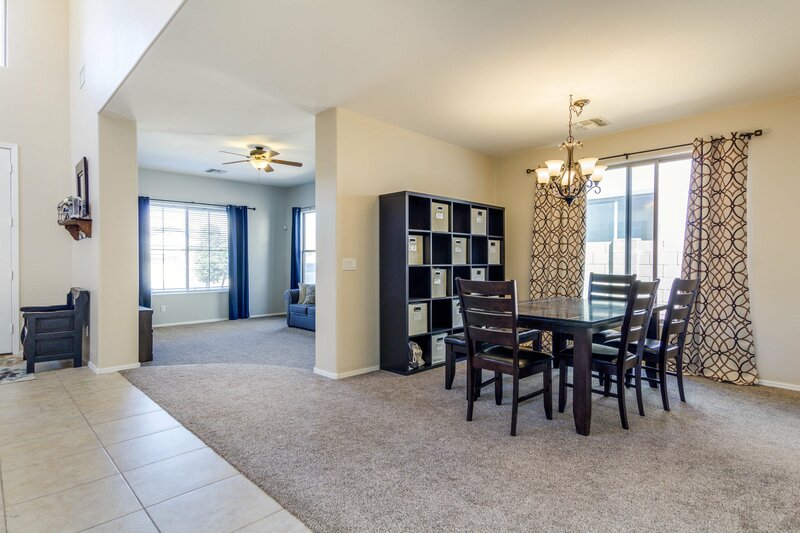 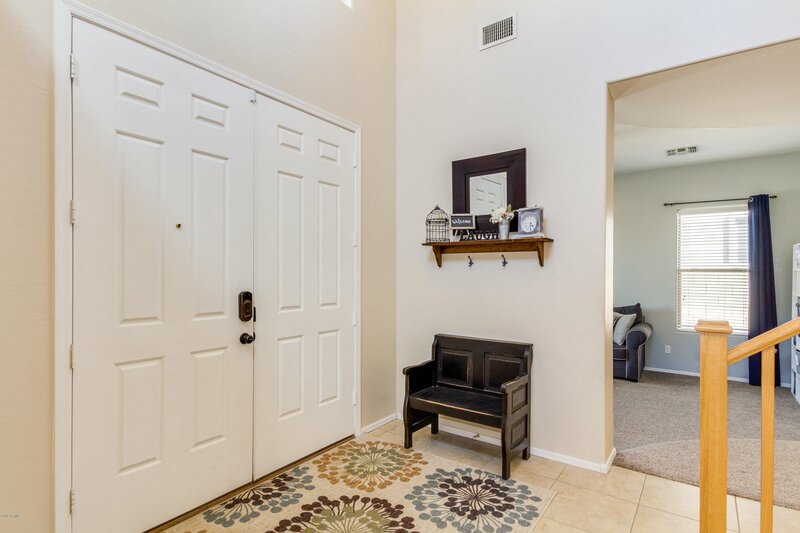 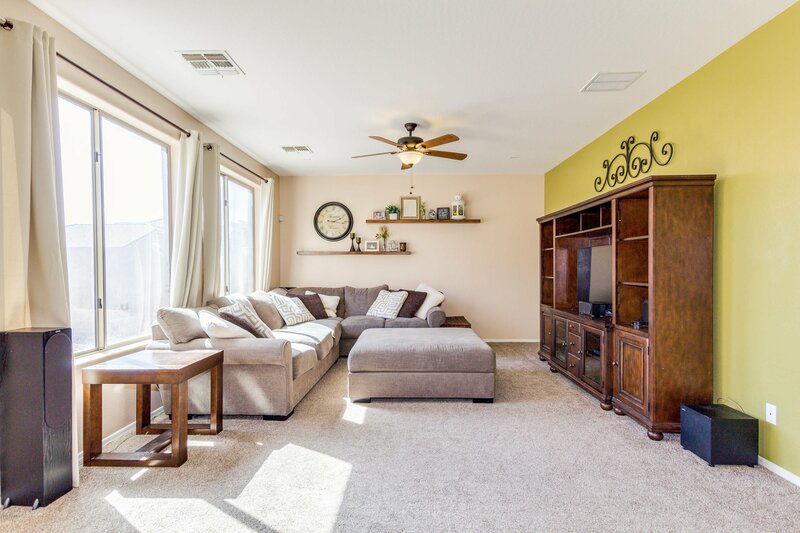 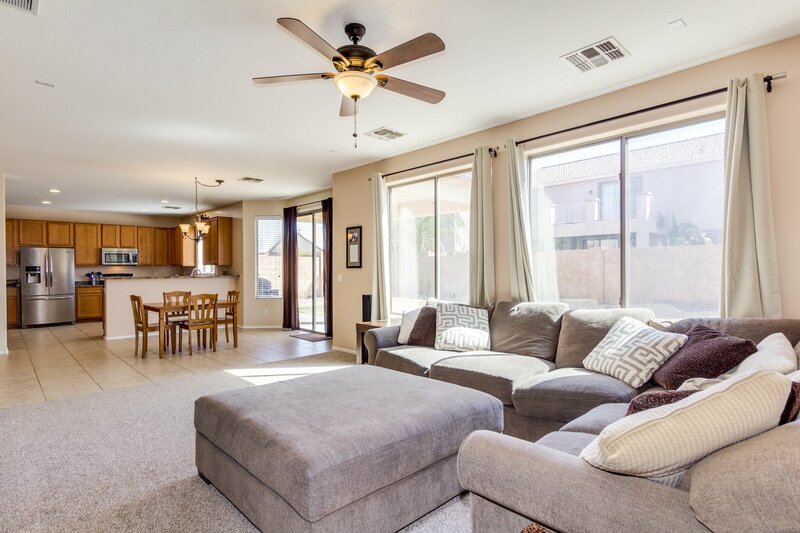 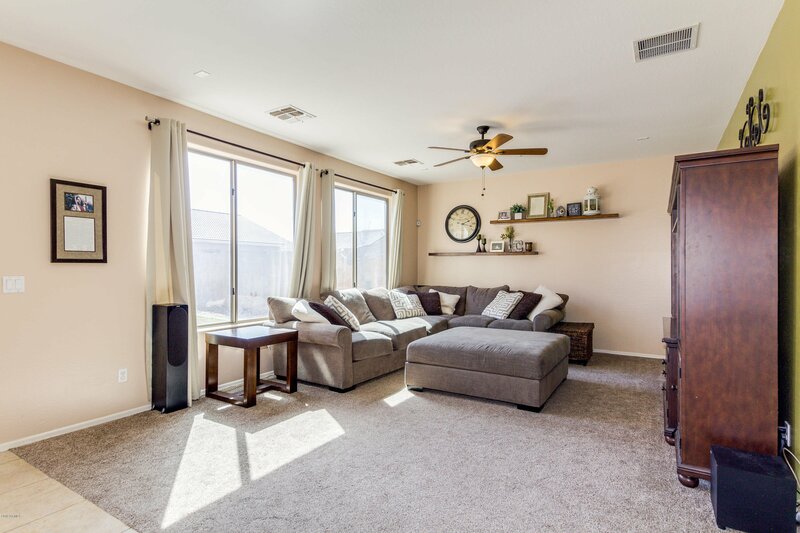 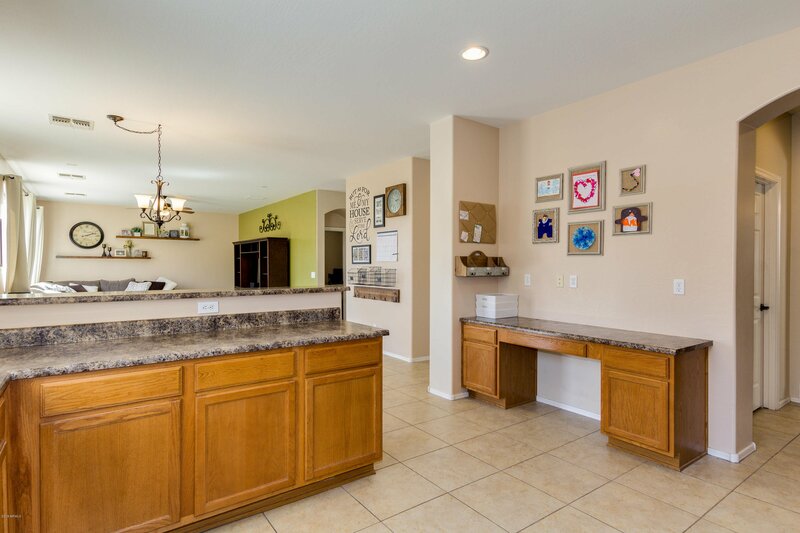 Large family room is light & bright! 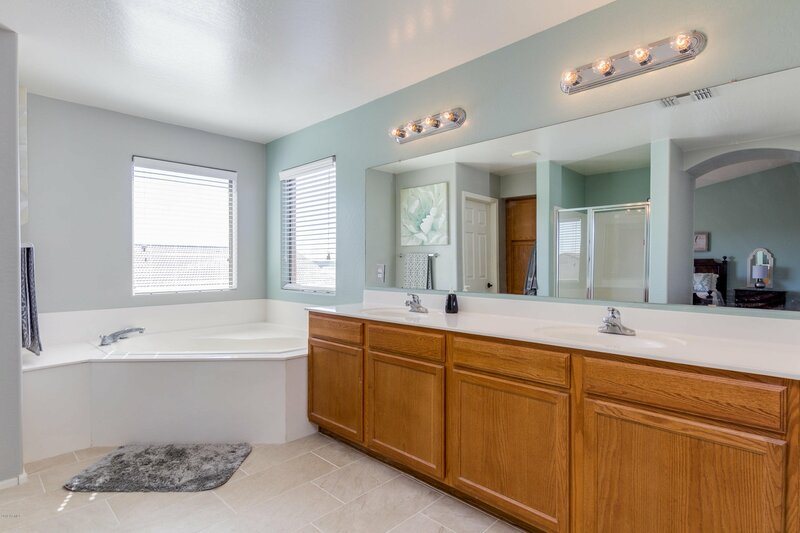 One bedroom & full bath down. 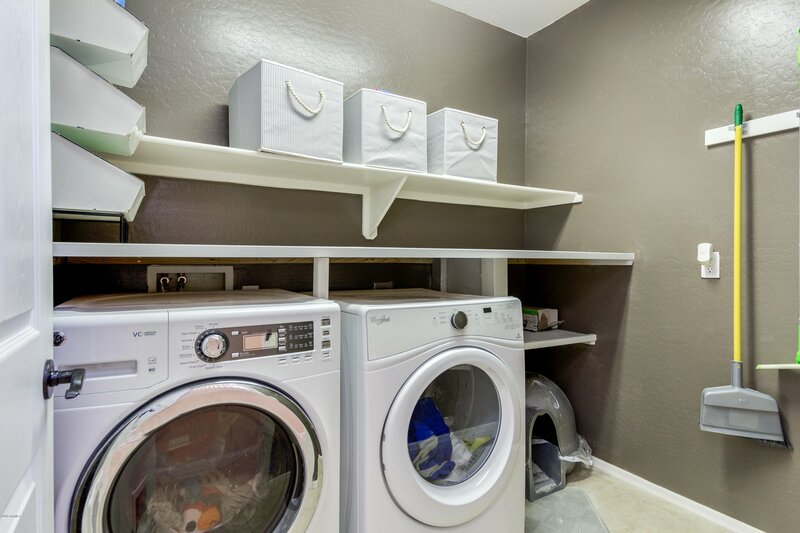 Dedicated laundry dry room w/ storage galore. 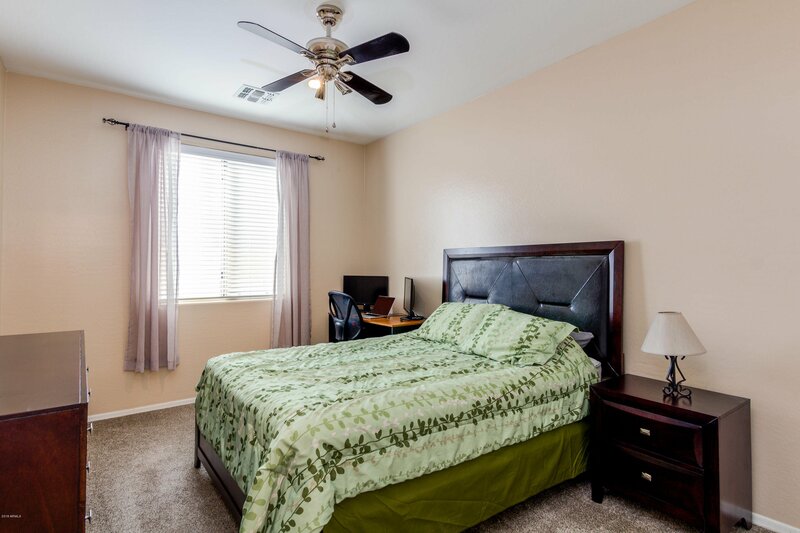 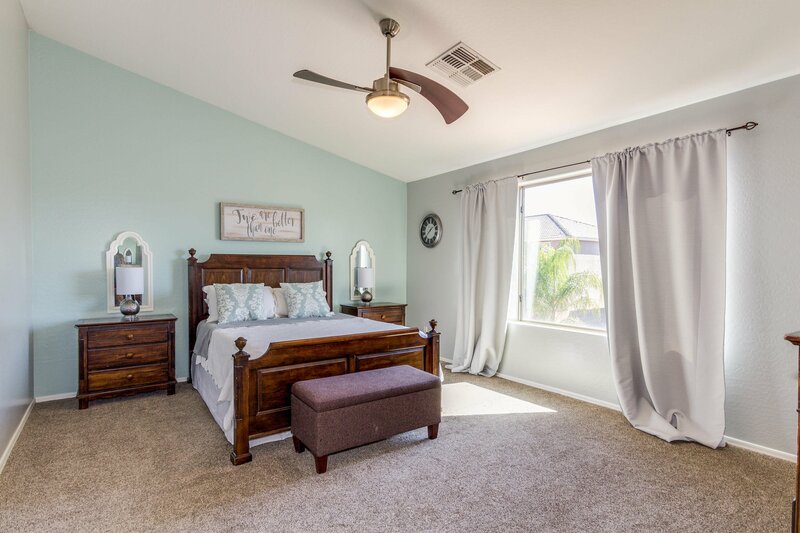 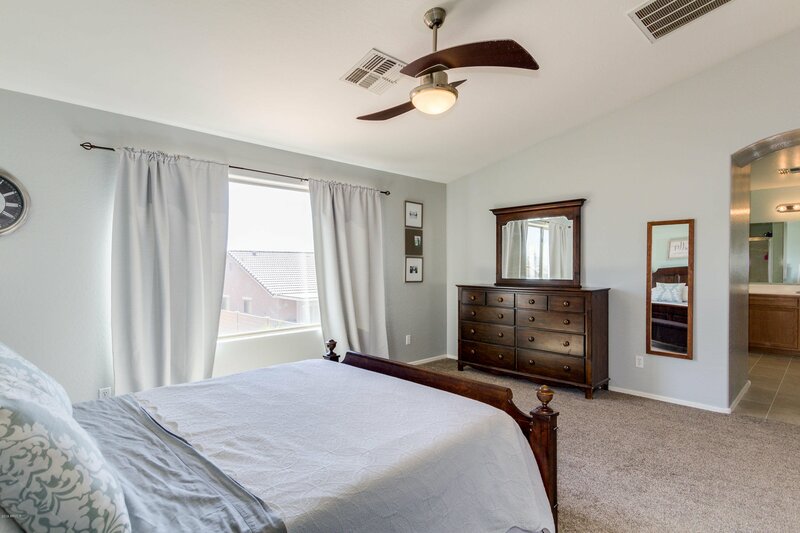 Three large bedrooms plus master up w/ vaulted ceilings. 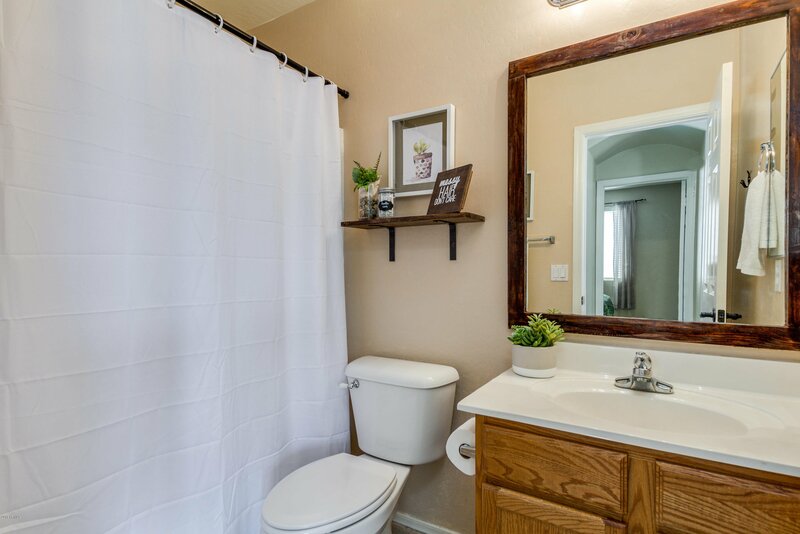 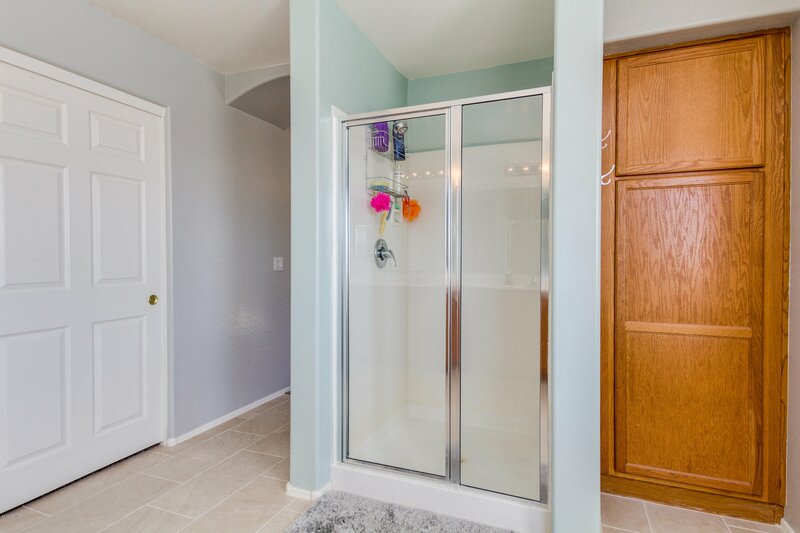 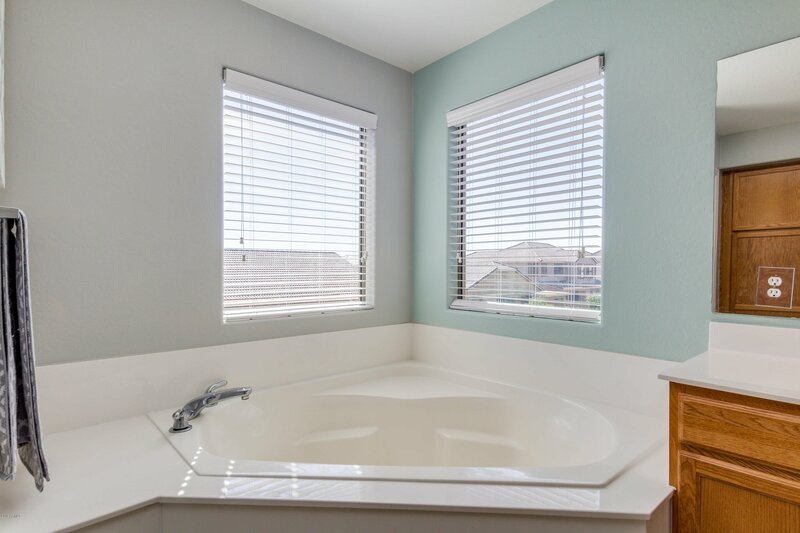 Master bath w/ garden tub, separate shower & big walk-in closet. 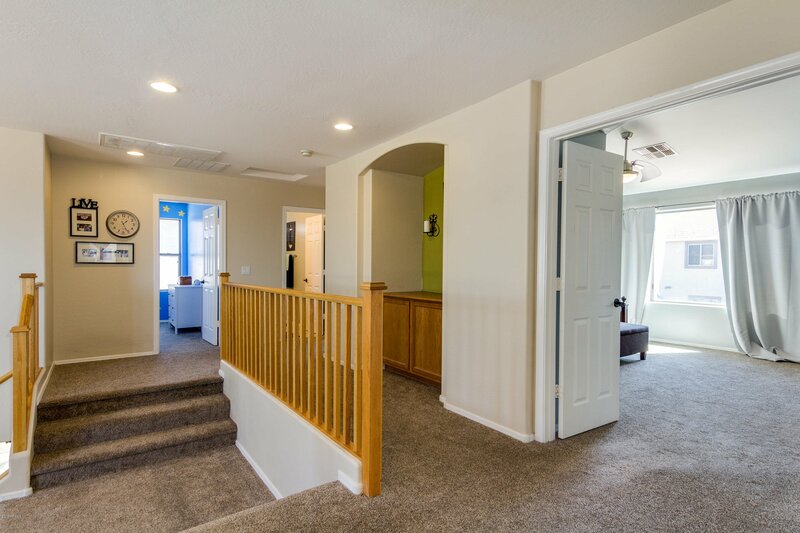 Home is tastefully painted w/ updated lighting. 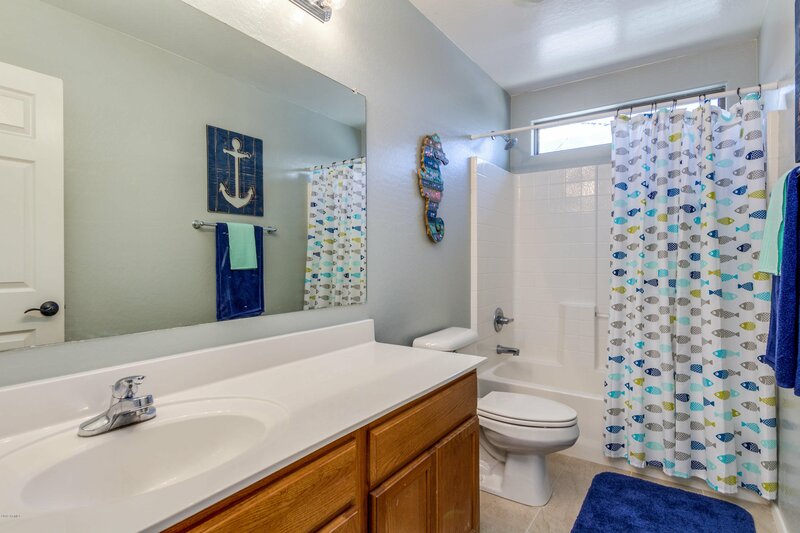 Carpet is two years old w/ new tile in bathrooms upstairs. 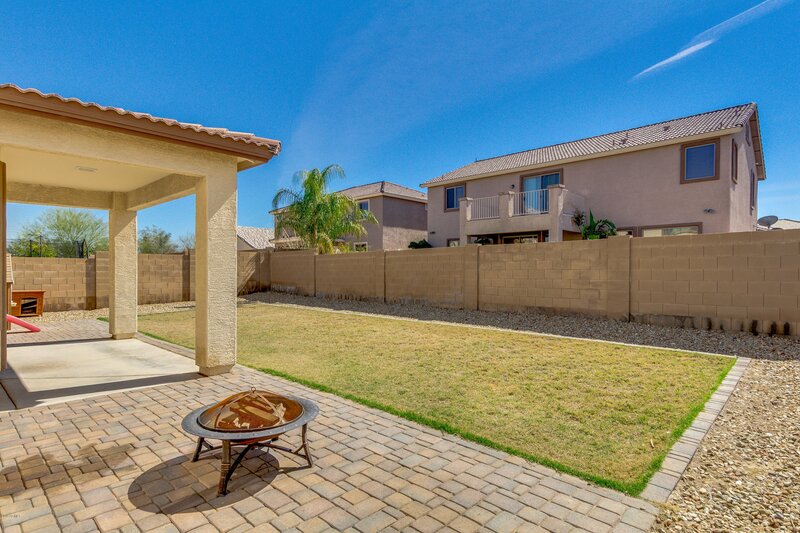 Backyard has just the right amount of grass & pavers. 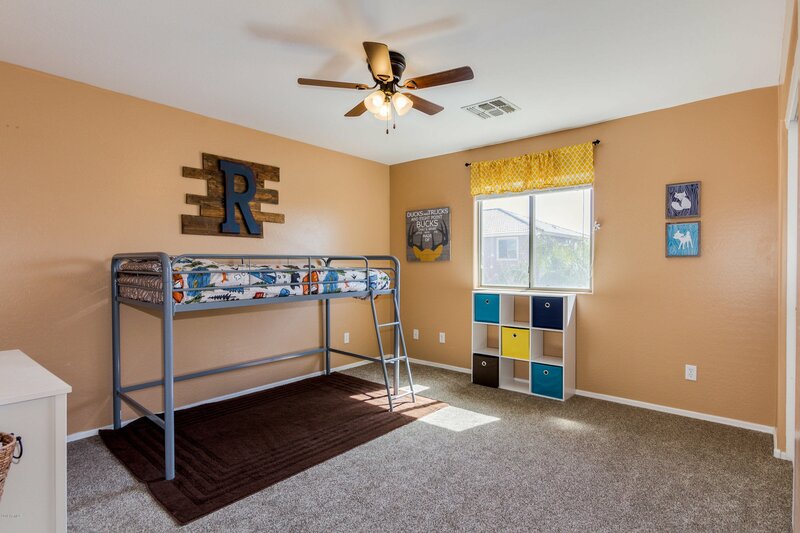 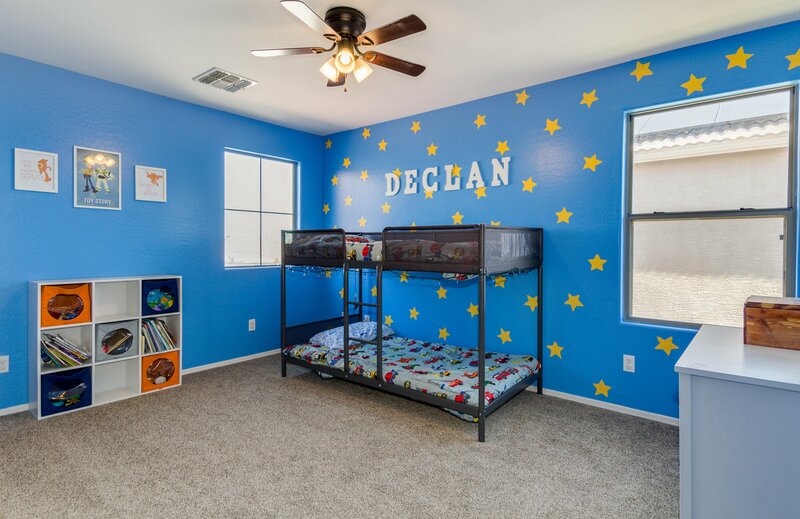 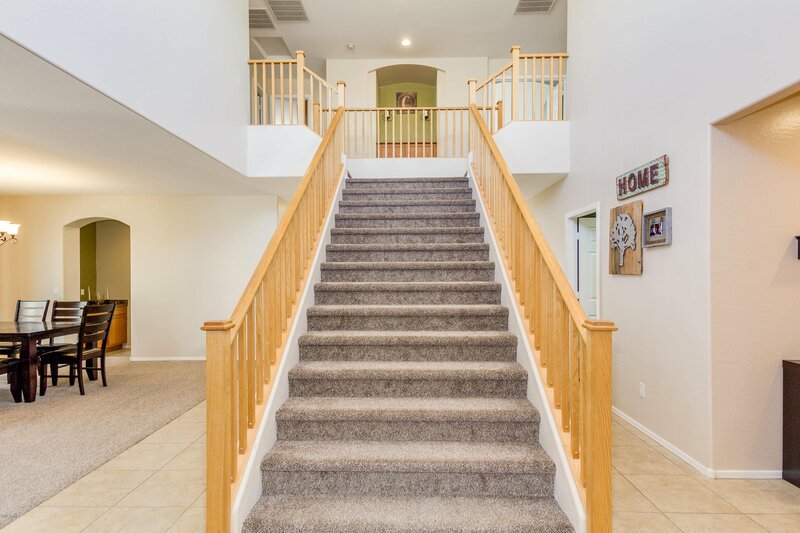 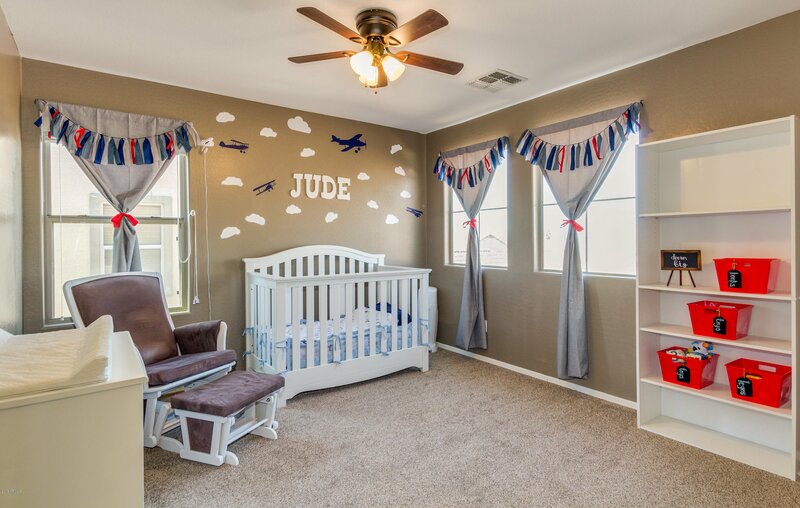 Park just down the street with fantastic playground.You don't want to miss this beautiful home!